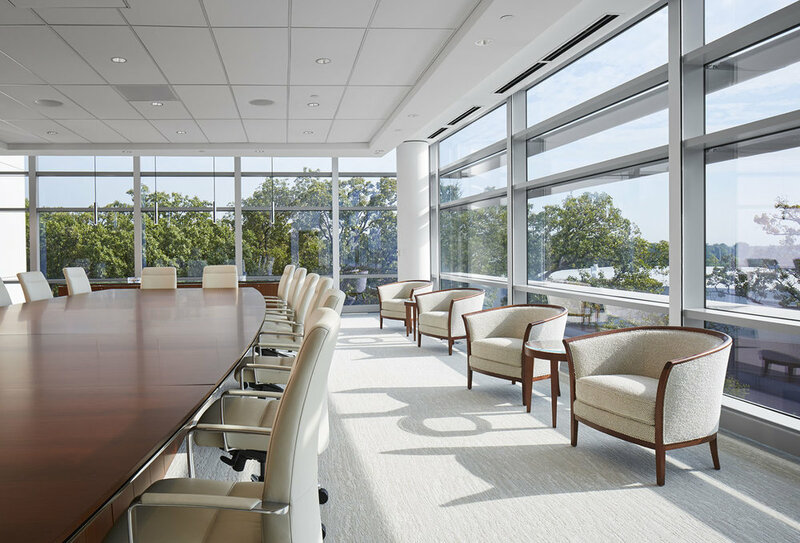 The new 223,000 sf headquarters for The Chamberlain Group Incorporated consolidates the facilities that had been spread out across Chicago’s western suburbs. Bringing together offices, research laboratories, training centers, and showrooms allowed CGI staff to cross-pollinate in shared spaces, and standardized presentation and teleconferencing technology simplified collaborations within and between groups. Threshold provided acoustics consulting services that emphasized clear and comfortable communication in presentation spaces and privacy in workspaces, as well as provided AV design services that emphasized robust-yet-user-friendly presentation systems that maintain a similar user experience from the smallest meeting rooms to the boardroom.